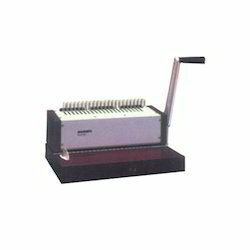 Our product range includes a wide range of electric comb binders, hamburg comb binder, avanti clp 21 comb binder, antiva riesa comb binder, antiva konstanz comb binder and office comb binders. 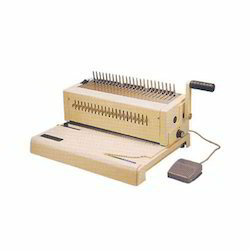 Electric Comb Binders offered comprise 21 holes (1-21 holes) machines that are designed to punch up to 15 sheets at a single time as well as for binding up to 500 sheets. These can be used in combination with all varieties of plastic rings (to 51 m/m) and feature international comb size ruler as well as safety wired power plug support. 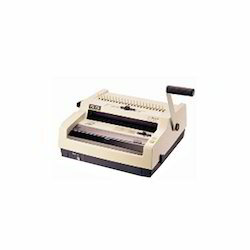 Further, the system also features all metal chassis and mechanism with support of adjustable paper size guide. These can handle binding performance of 500 Books / Hour with punching width of 340 m/m (A4 foolscap) and punching performance of 20,000 Sheets / Hour. 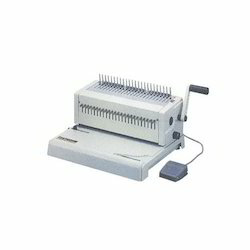 Further, these can also be offered in other punching and binding specifications as demanded by the customers. As an esteemed company, we are engaged in providing the broad spectrum of Hamburg Comb Binder to our valuable clients. 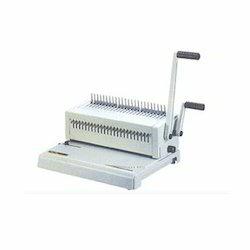 Riding on unfathomable volumes of industrial expertise, we are engaged in offering an excellent assortment of Avanti CLP 21 Comb Binder. Offered binders are wholesale by our dexterous professionals using premium quality basic material, allied components and sophisticated technology. These can handle binding performance of 500 Books / Hour with punching width of 340 m/m (A4 foolscap) and punching performance of 20,000 Sheets / Hour. 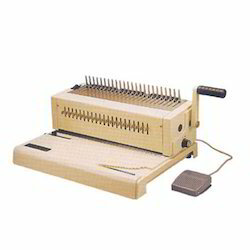 Owing to perfection and quality oriented approach, we have carved niche in the industry by offering an enormous grade array of Antiva Konstanz Comb Binder. Office Comb Binders offered are backed by latest engineering support that allows it to deliver an optimum lamination support that is aptly suited for small offices. Looking for Comb Binders ?